This is the kind I use. I get it at Costco. I have an extreme obsession with coconut oil, and have for a couple months now. Last night I was bored (Kelly moved back to Rexburg to start another semester of school. Lame, may I say? ) so I was perusing the internet and talking to my sister on the phone. I came across this awesome blog run by two hippy-ish ladies, who are basically my idols now. 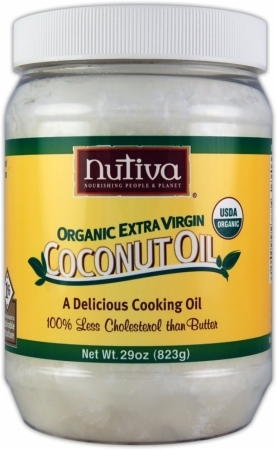 They have a zillion more uses for coconut oil for me to try! By the way, I already use it as a makeup remover, a lubricant (lose the ky, folks) a facial moisturizer, a deep conditioner for my hair, and after I shower I lather my whole body in the stuff. Well now I am about to make homemade deodorant and toothpaste out of the stuff. Kelly and I are always up for a new natural product since his two bouts with cancer. We went chemical free the first time he was diagnosed, and when it came back out of hiding last summer, we attempted that again. But natural deodorants on the market do. not. work. They may succeed at being chemical free, but they don't succeed at keeping you from stinking, which is the whole point right? So I will let you know how this experience goes. I already make my own laundry detergent, I am used to homemade everything, so I am guessing it can't be that bad? After I found the recipes for toothpaste and deoderant, I went on a crazy essential oils spree online. I want a zillion of them. They are great to add to my laundry for a nice scent, or to the deodorant, or just to vaporize in your house. Plus they are suuuuper good for you. If you get bored sometime, go look up essential oils and the uses and benefits of each one. It'll blow you mind. PS. Last Chance to enter the JUST PEACHY ACCESSORIES GIVEAWAY! Cick HERE to enter! I'm so excited for my essential oils to come! i had no idea that coconut oil could be used in so many ways!!! i think you sold me on it! I want to buy some right now.